With jallikattu agitations turning sour, an petition has been filed with the National Human Rights Commission, seeking its intervention into use of force and violence against peaceful protesters by the state police. 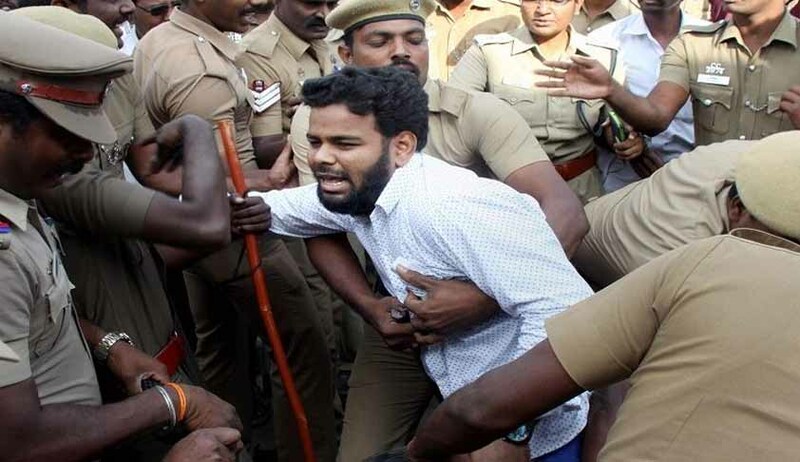 The petitioner claimed that the police was allegedly given a ‘free-hand’ by the state authorities to use ‘violence’ as a means to curb the protesters. Advocate and Chairman of World Human Rights Commission and Rescue Centre Dr SK Saamy sought the NHRC’s directions for a CBI inquiry, which shall submit its report for the commission’s further consideration. He has also prayed for compensation for the victims and monetary relief of Rs.5 lakh for those hospitalised. In the light of ‘disregard for duty and police’s failure to protect the peaceful protesters’, the petitioner pleaded that the NHRC may issue any order or directions to the police authorities, it may deem fit. He slammed the state government for its sudden diktat to revoke all peaceful protests across the state. 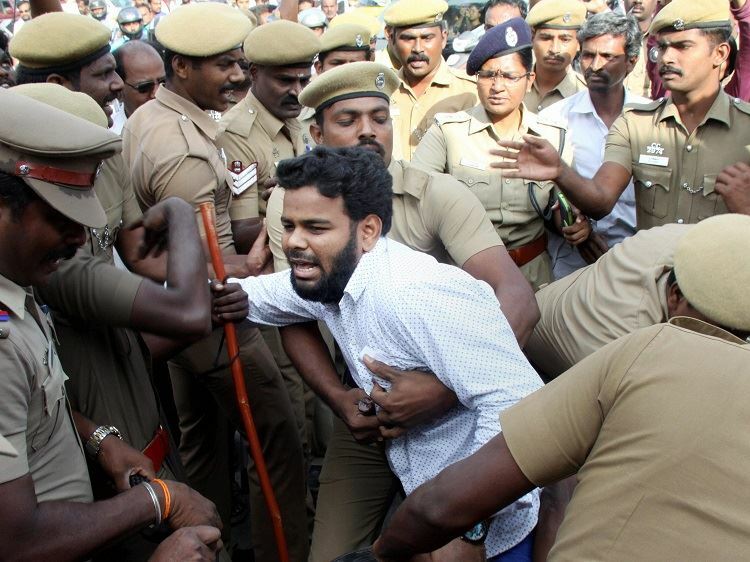 Raising serious allegations, he said the state authorities ‘forced and instigated’ the police to resort to violence by expressing that they are free to use the weapons given to them against those participating in the jallikattu agitations. He said at the behest of political forces, the police authorities ‘gave way to initiate violence among people at around 5 pm today’. He claimed that the fact was also well proven by the investigations conducted by his office staff and volunteers. Sammy also alleged that the police foisted false criminal cases against several youth participating in the agitations. ‘Jallikattu is not a leisure sport for Tamilians, but a tradition that establishes the identity of hard-working, self-sufficient, powerful Tamil People. Jallikattu also symbolises a cordial man-animal relationship. "For the owner, the bull was a member of the family. Native breeds used in bullfights ensured biodiversity and acted as geographical indicators,’ he stated. The unprecedented support that emerged for jallikattu was widely commended as peaceful and organised. However, the crowd turned violent today with demonstrators pelting stones and police resorting to lathi charge and teargas shells, following orders of eviction from the site. Police actions are being severely criticised as brutal and unwarranted. Normal life is hit as the situation in the state has grown tense amidst the frenzy.